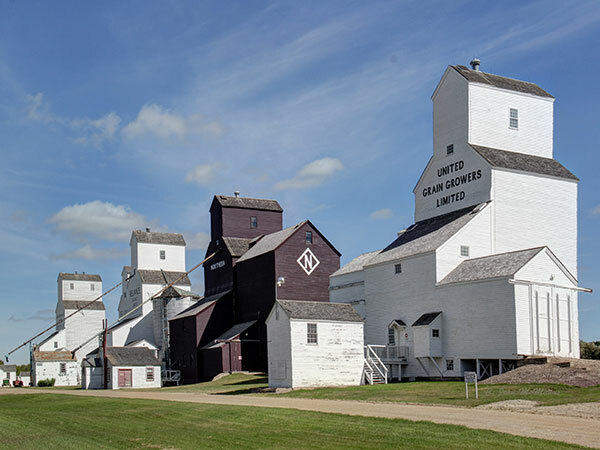 A group of five grain elevators in the village of Inglis in the Rural Municipality of Riding Mountain West is one of the last remaining examples of a once-common prairie icon. Now preserved as a national historic site and a provincial historic site, the Inglis site represents an important period in the development of Canada’s grain industry from 1900 to 1930. The history of the five elevators located at Inglis reflects the changes in the grain-buying industry over the last century. 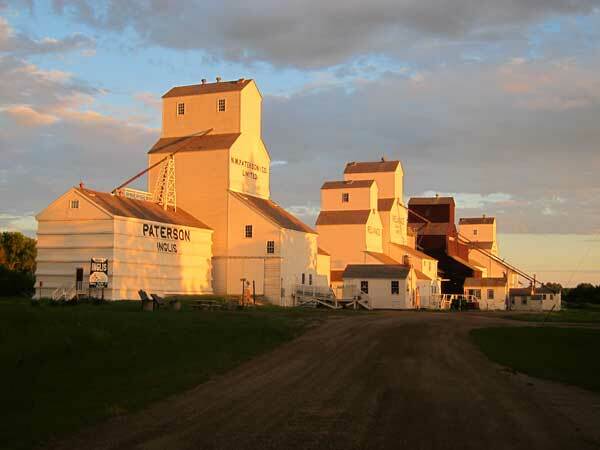 Very little major renovation or modernization took place on any of the structures over the 70 years of their commercial existence, but in the same period, the number of grain companies operating in Manitoba shrunk from 67 to eight. In Inglis, this consolidation left five grain-buying facilities in the hands of two major companies. Eventually, when the adjacent railway line was abandoned, those companies transferred ownership of the elevators to a local group which is maintaining them as a museum. 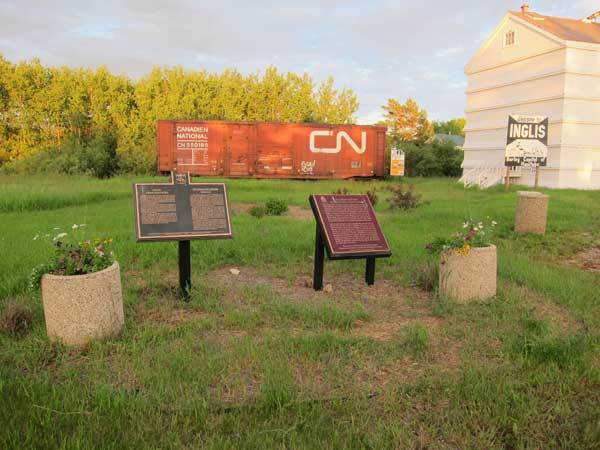 Plaques in recogntion of the signifance of the Inglis grain elevators have been erected by the Historic Sites and Monuments Board of Canada (2000) and the Manitoba Heritage Council (2002). A further plaque recognizes a 2003 donation of $100,000 from the Murphy Foundation to complete the restoration of the two former Reliance Grain Company elevators at the site. Some restoration at the site was part of the Manitoba Prairie Icons Project. Information on the hours of operation for the facility is available on the Inglis Grain Elevators website. This page was prepared by Gordon Goldsborough and Karen Nicholson.